S12E03 - A Rare Thing Indeed! On this week's show, which you can hear by clicking here, we are joined by lap-dancer-turned-law-student, Vanessa Knowles to talk about how a law student making good money from being very visible online might encounter problems in a future career. It turns out things are not as bleak as you might think. 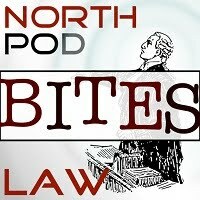 We talk about how not to deal with the Court of Appeal when it comes to having a pop at a client's previous lawyers and how the Court uses its rarely-wielded power to dismiss a case without a hearing of any sort. We look at a rarely-used power to have a witness deposed - US-style! Is it about to be used more often after being on the statute books for many years? We also take a look at the Legal Aid position in relation to awkward forensic experts holding on to evidence until a fee is paid by defence lawyers. No spoilers, but it turns out that things are not quite as they seem. All of that and we have a quick glance at the sad plight of Nigel Evans MP, the PDS and Nick "Mr Loophole" Freeman. Check out the links below for the sources used and for additional material we thought you might like to read. No charge allowed for prosecution expert labs to show all to the defence - Keith Borer Consultants make a FOI request to the Forensic Regulator. You have an appointment to be deposed! £3,000 for a splinter in the bum. Nick Freeman and the ASA. S12E04 - All Change! No Change!